Take a deep dive into a wide variety of fermentation topics with these hour-long classes, taught by some of the Sunshine State’s most respect food producers and microbe enthusiasts! Learn to make two staple dairy products with basic ingredients and not much fuss. We'll make yogurt, and then use it to culture cream to make exceptionally delicious butter. In this class we will put on our permaculture lenses and discuss a handful of Florida friendly ferments. These seasonally inspired recipes will shine a bright light on locally grown produce such as papaya, Seminole pumpkin, cucumber, and more! We will explore easy to learn recipes that highlight traditional ingredients found in the classics as well as experimental ones. Get down to basics! We will explore the process, methods and benefits of what fermented foods have to offer. There will be various samples to enjoy during our discussion. One of the most popular beverages these days, ginger beer is super simple to make. Fermenting your own requires less sugar and contains loads of living yeast and bacteria. Participants in this class will get to make and take home some starter for future batches! Back by popular demand! Bring your senses to explore the complexity Fermented Honey imparts, in anything you pair it with. Together, we will prepare, share, and enjoy some, with tasty treats, from savory to sweet, with roots, herbs, spices and fruits. When we talk about the gut, we often focus on our insides, doing all this work preparing food and forgetting about the outside world. This workshop will examine common gut damaging chemicals found in every day beauty products, give guidelines on how to transition to more natural ones and leave participants feeling confident in navigating labels. Participants will leave with their own hand made fermented toothpaste. 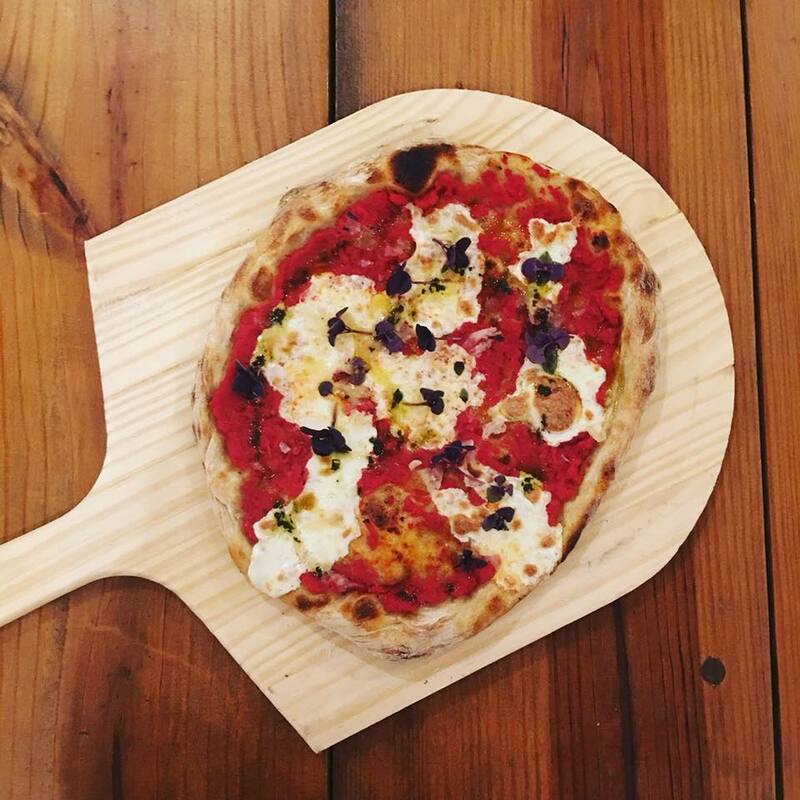 This class will cover the basics of maintaining a healthy sourdough starter in a hot climate, and hot to use it to make really good pizza. Is the fermentation process a forgotten herbal medicine making practice? Availability and absorption could tie these two traditions together. Lets explore pairing of adaptogenic herbs in fermented foods to have an energetically balanced ferment. We'll cover the ABCs of brewing beer at home. We’ll explore how the cultures of local food, fermentation, and environmental sustainability can intersect and collaborate to build better communities and a more resilient world. Explore and enjoy delicious fermented food and drink from around the state. Check back soon for vendor announcement. The fine folks at Sailfish Brewing Co have put together a tasting area of epic proportions! Sample beers from around the state, visit with the men and women behind the brews, and dive into the Sunshine State's craft beer renaissance! Participating breweries will to be announced soon! All fest participants over the age of 21 will have access to the brew garden. You heard that right. Free beer for all! There’s nothing quite like fermenting in community to transform a big pile of veggies into something magical. Throughout the day will be offering opportunities to come together and make a giant batch of pickles, which participants can take home, ferment, and enjoy! Want to share your best kraut? Do you home brew kombucha? Got a super sourdough bread to share with our judges? Bring it on at the Fest's ferment competition. Categories include vegetable ferments, alcohol ferments, bread and beverages (non alcoholic). Just bring a clearly labeled sample of your ferment with enough for 3 judges to have a taste. When you arrive, you will fill out a form about your submission and hand it over to the judges! We're celebrating what is sure to be an incredible day with an epic feast! After you've spent the day filling your head with knowledge, head to the farm’s restaurant at 6pm to fill your belly with treats! The Feast features beer brewed by Sailfish Brewing Co and other local breweries, and a delicious menu by Ground Floor Farm. 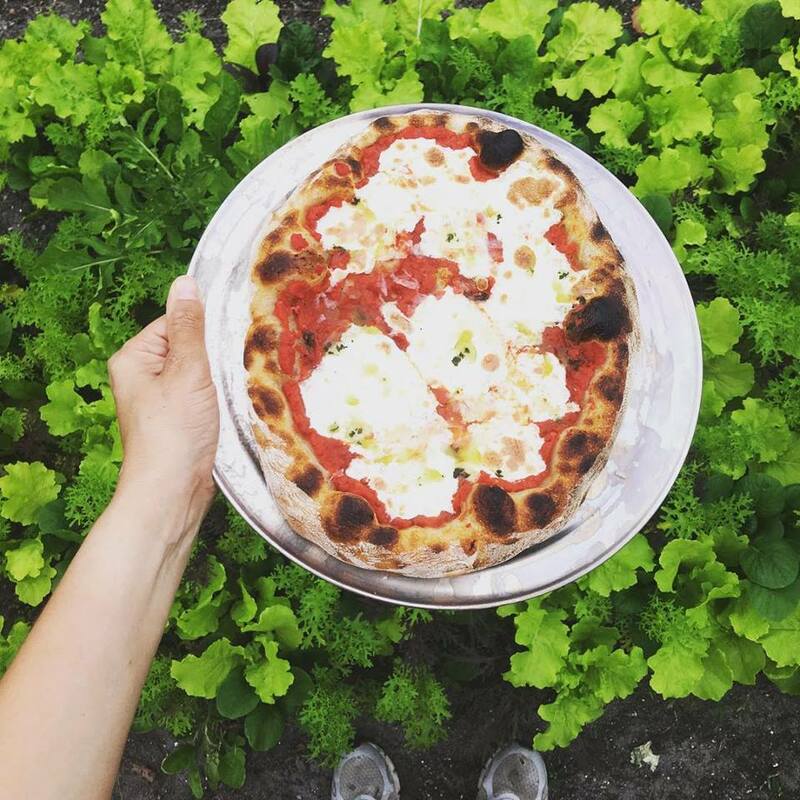 Expect sourdough pizzas and creative salads, all highlighting the art and craft of fermentation. We have a limited number of tickets for the Feast, so be sure to reserve your spot today! On top of all the amazing on offer at the fest, we're also including two VIP workshops to choose from. Both workshops will take place at the farm on Saturday from 9am-12pm, right before the fest kicks off. Space is EXTREMELY LIMITED, so book your spot today! Learn to make mead, the ancient alcoholic brew made from the original nectar of the gods- honey! Sit back and relax as we discuss, brew, and taste, from whatever our imagination and recipes can conjure. We will discuss technical aspects, ingredients both from the Lab and wild/foraged. Aging, technique, trouble shooting, and more will all be covered. This workshop is appropriate for beginners or experienced brewers. Bring your Mazer, your Mether, your Ale Horn, your stories, and enthusiasm for brewing. If you have a brew you'd like to share and have an opinion from a Mead Judge, please bring some along. In this three hour workshop, you will learn the basics of fermenting tempeh and miso, perhaps two of the most prominent Asian ferments that have permeated western culture. These ferments require very different time frames. While tempeh generally runs its course from 18 to 36 hours, miso can ferment for several months, even years. For this particular workshop, we will demonstrate using non-soy beans. We will use the spore Rhizopus Oligosporus, the spore required to inoculate the beans for tempeh, and koji (Aspergillus Oryzae), the fungus used to create miso. Both miso and tempeh are great examples showing how something as simple as a bean can transform into exceptionally tasty ferments. You will be equipped with knowledge from the class, a set of tempeh and miso making instructions, plus both sets of spores to get you started at home.